Plus One is an additional storage container for any kind of regular shelf. Its sophisticatedly bent plywood results in an exclusive look. 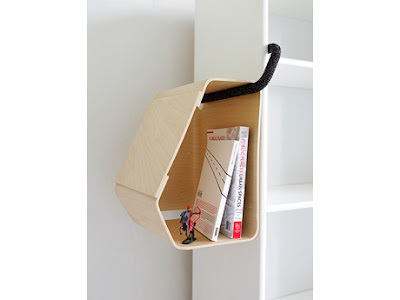 With a simple U-shaped tube Plus One can be attached to a shelf. 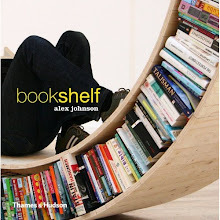 Surely it doesn't add much more storage space, but helps to highlight your current folders or books in an unobstrusive way. It comes in walnut or maple feneer. Individually knitted socks for the tube not only protect the surfaces, but add an additional aesthetical level.